From Friendly, helpful and knowledgeable staff. Armstrong, AMF, Rockfon and may more…. 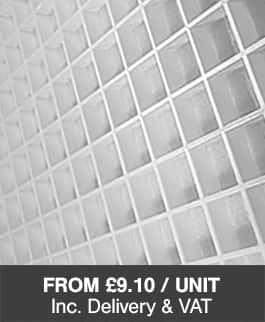 Create your new suspendedceiling grid system and order your full ceiling kit online Get a bespoke ceiling design plan, fitting instructions & supply of all materials. 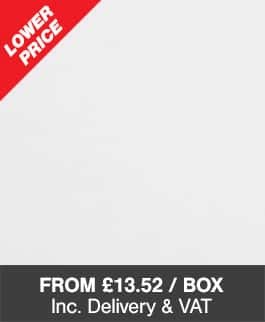 At UK suspended ceiling tiles we have a large range all available on a next working day delivery service. 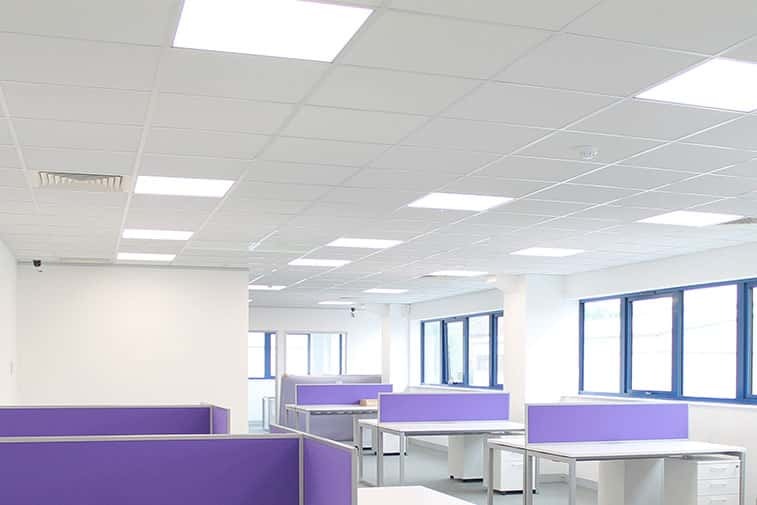 All our ceiling tiles and panels are ideal for use in a new suspended ceiling or simply to replace existing ceiling tiles in an existing grid system. Our ceiling tiles and ceiling panels are compatible with all modern ceiling grids. And measure 595 x 595mm designed to fit into any 600 x 600mm ceiling grid system. 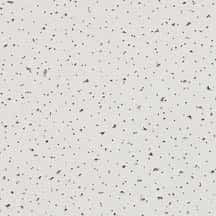 The most popular suspended ceiling tiles are our fine fissures square edge. 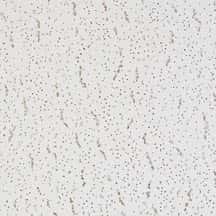 And Easy Clean Dano square edge ceiling tiles. Acoustic ceiling tiles are ideal for all areas. Not affected by steam or excessive moisture. The tiles are designed to absorb unwanted sound waves, to reduce the transfer of sound between different rooms. These tiles will also improve the acoustics of the room that they are installed into by reducing noise reverberation making communication much easier by helping to clear unwanted echo. With high thermal properties, these tiles can also be used to help minimise heat loss and reduce energy bills. 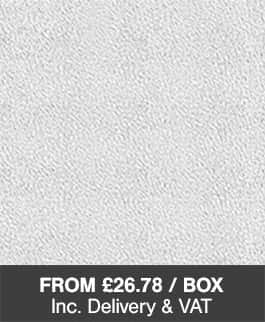 Ideal for office ceilings, classroom ceilings, hallway ceilings, and entrance hall ceilings. 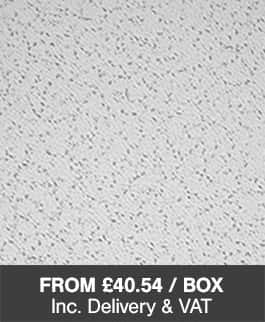 hygienic ceiling tiles are ideal for all areas where a hard white cleanable surface is required. The tiles are designed to be cleaned with a wet cloth or a sponge and can also be subjected to steam or short bursts of water/liquid. The tiles have a protective white vinyl face and a foil backing with sealed edges. To minimise any ingress of steam or liquid. The tiles also have a reinforced plaster core which allows the tile to withstand a large and more sustained impact when compared to standard mineral fibre tiles. Ideal for kitchen / commercial kitchen ceilings, bathroom ceilings, shower room ceilings and sports hall ceilings. 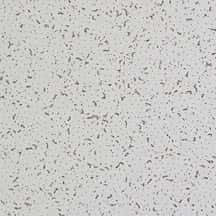 A good all-around mineral fibre ceiling tile. They have good acoustic properties and can be used in most areas that are not affected by high levels of moisture or humidity. These tiles have a directional surface pattern which can be used to create a different look or add a feature to the ceiling. For example installing them in different directions creates a unique look. 6x6 ceiling tiles like Cortega are a good all-round ceiling tile designed for all standard areas that are not affected by high levels of humidity such as shower rooms or kitchens. Designed to be installed into a 600x600mm ceiling grid layout. 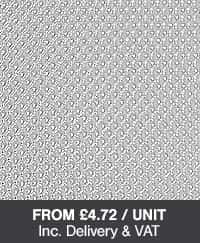 All our tiles actually measure 595x595mm so fit neatly into the 600x600mm grid system. Some very old ceilings installed back in the 70s or before may have been based upon the old imperial measurements. These ceilings are very rare nowadays but should you have a ceiling that measures 620x620mm then please call us first as our standard tiles will not fit this type of ceiling. If you have any questions UK Suspended Ceilings offers a free technical advice service. Please do not hesitate to give us a call if you need to discuss your project.